We get a number of requests from the network team on bandwidth usage issues which is always finger pointed at the Veeam Backup Copy jobs. 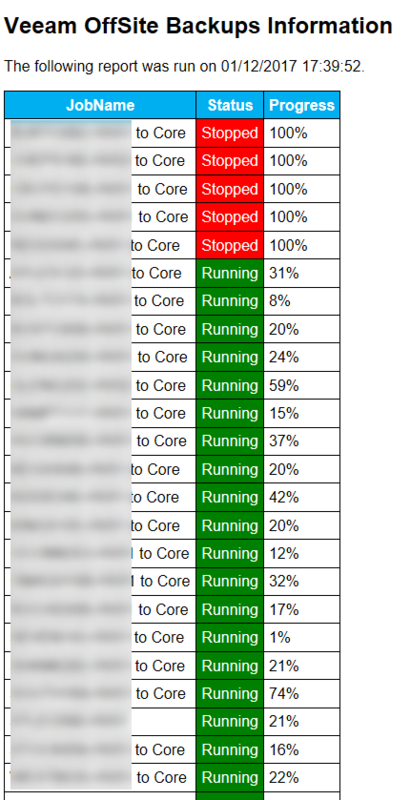 I put together the following Powershell script to report on all the Backup Copy jobs currently configured and return their status. The code in it's entirety is listed below. Enjoy!